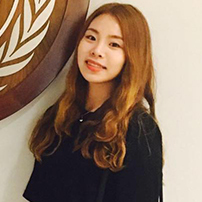 Jieun Woo is a young woman and a youth leader from the Republic of Korea, her name means to be a wise woman who can work for peace and it always played a role as the guideline informing the direction of the way she walks. As her name represents, she wants to be a “Peace Maker” in the world. Her passion is Education and Gender Equality. Advocate for women’s inclusive education and quality education along the children in the world. Participated in GCED workshop as a youth representative of Korea, Served as mentor for multicultural students for 3 years, Leads and manages the youth humanity forums under the themes (Justice, Peace, Love, Education, Environment, values, Philosophies, equality). She believes that education is the only key to addressing the tough challenges that facing communities around the world today. Moreover, Education is not just for citizenship but prepares people for meaningful lives.